Life around me came to a screeching halt the minute I opened Flaws that Bind. I carried the book into the kitchen while cooking, read it while riding in the car (someone else driving), even took it to the bathroom to find out what happened next. It’s that gripping. And why? Because the author is more than honest; she’s almost naked with the reader, in a very life-affirming way that leaves you stunned. An idealistic young woman from Iowa follows her heart into a life of adventure in 1970’s Jamaica and Australia. What could be more romantic, right? But things are not exactly what they seem, either in the relationship or the culture, as we learn through carefully revealed observations. Even more importantly, we see how a charismatic person can gain power in a relationship, so that their partner loses faith in her own powers of observation, and gradually finds herself adrift, not knowing whom or what to believe in. To say that this is a novel about domestic violence would be a disservice. It is much, much more than that. First, it gives us an intelligent, well-educated, articulate and very likable narrator observing changes in herself and the world around her. Second, it takes us inside a cross-cultural experience, so that we actually live and breathe the world of Jamaica during the turbulent 1970s. Third, we learn how the family of origin influences a young adult’s perceptions and decisions, and how relationships with that family both open up and limit options later in life. Leo portrays Jamaica from the inside out, giving just enough details to convey the beauty, chaos and terror of Caribbean society four decades ago. She avoids the typical pitfalls of travel writing by never seducing the reader with “tropical paradise” scenes. Instead, she describes the real people who live there, treating them not as exotic characters but as living human beings grappling with a society that is disintegrating — or, as in the case of the narrator’s family, descending into madness. Several of Leo’s most brilliant scenes, on the other hand, involve the reverse culture shock of returning to the US, often more difficult to experience (or describe) than going overseas in the first place, as most expats would agree. You turn the pages of this book hoping against hope that the narrator will free herself quickly from a domestic prison. At the same time, you understand how the victim of violence loses the ability to defend herself or imagine other options. Leo does this with such skill that you can easily see yourself making similar choices. She does this better than any author I have ever read when dealing with this sensitive topic. Despite many uncomfortable scenes, which certainly have the ring of truth, this is a very inspirational novel. By the last page, you feel like cheering for the main character, or throwing your arms around her, or nominating her for a medal. Her courage is almost unbelievable. What gives the novel this sense of triumph is the maturity and wisdom of the narrator, who has clearly learned to forgive herself as well as violent perpetrators. Isn’t this the ultimate lesson that literature strives to teach us — or perhaps the ultimate lesson of life itself — that forgiveness comes only through understanding? Leo achieves this by crafting an almost spiritual epiphany, for the narrator and reader alike, with a very subtle hand. 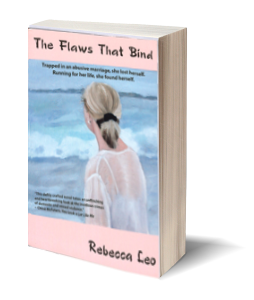 In Flaws that Bind, Rebecca Leo leads us to new levels of understanding families, relationships, cultures and even political eras with skill, poignancy and power. Highly recommended! The Flaws That Bind is a deeply inspiring testament to the resilience and triumph of the human spirit. 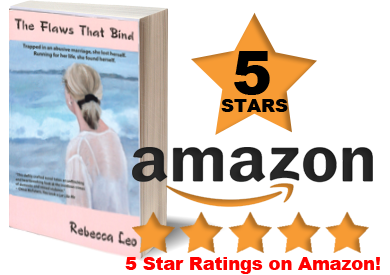 In it Leo gives readers an unflinching and heartbreaking look at the insidious crimes of domestic and sexual violence. The courageous heroine, Jacqueline, is representative of millions of women around the world who live in fear of their intimate partners every day, and who feel helpless to protect not only their physical, psychological, and emotional well-being, but also that of their children. Jac’s story is one that will profoundly touch the hearts of many because it is their story. It is the universal story of domestic violence. The Flaws That Bind leaves us feeling incredulous, outraged, and ultimately hopeful. 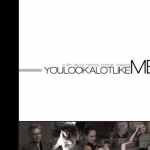 It’s a cautionary tale that is not to be missed.